I have immense respect and love for handmade things. Be it beauty products or jewellery. 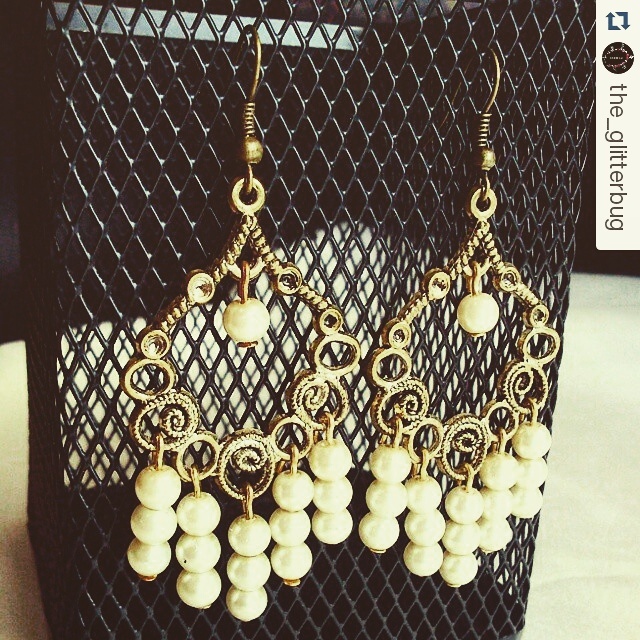 The sheer efforts put in handmade things are beyound our imagination. 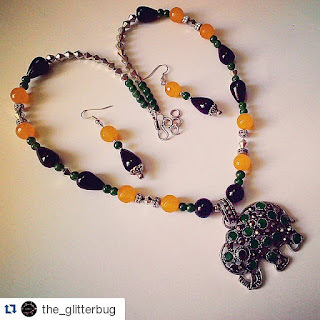 Today we have another hand crafted jewellery brand The Glitterbug. Read on to know more about it!!!! How did The Glitterbug happen? Anmol started researching online and came across stunning beaded creations by the beaders in USA , and this beaders association is what inspired her to get into handcrafted jewellery designing. What all is made by The Glitterbug? The normal perception about handmade jewelry is that it is not classy enough, that it cannot compete with readymade accessories & most importantly it can only be worn with ethnic wear. Hoops, Dangling earrings, charm bracelets, anklets , necklace sets made with glass beads, metal as well as semiprecious beads . 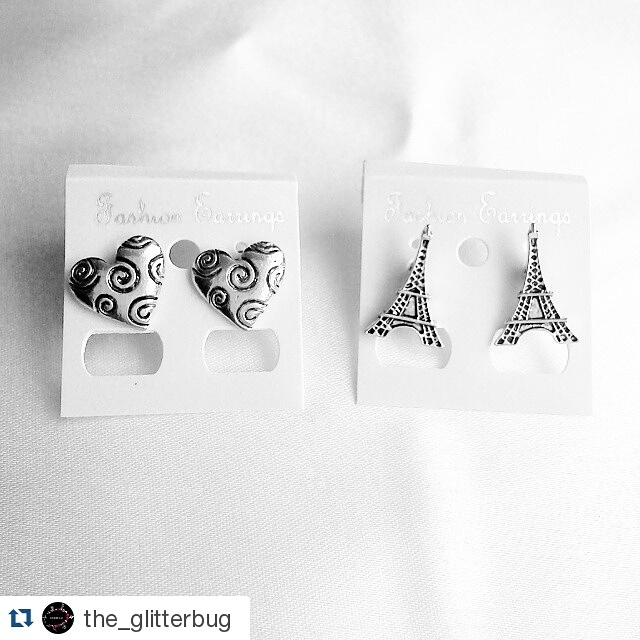 The Glitterbug also provides an exquisite range of imported European charm bracelets. 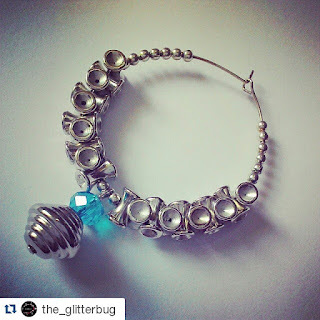 How has been The Glitterbug's journey so far? Each day is a new learning opportunity, at The Glitterbug team believes in constantly challenging themselves to come up with even better designs to keep their customers hooked & charmed. The Glitterbug recently celebrated it's 1st anniversary and have almost touched 3000 followers on Facebook. Off lately on popular demand they have even started participating in selective exhibitions across Bangalore. Every appreciation they receive from their beloved clients is a new feather in the cap , with the amount of love & support they have received in this short span of time, it's hard for them to pick and choose one special moment. Any hiccups in the journey and how they were managed? Customizing jewellery to suit the tastes of women from different cultures & cities is a constant challenge, a challenge they enjoy undertaking. Also just like any other field they face a lot of competition, but as time passes by The Glitterbug is working on setting a benchmark for others to follow. To expand the business more and participate in exhibitions in other cities across India and to have an official Glitterbug website. You can contact The Glitterbug on Facebook and Instagram. 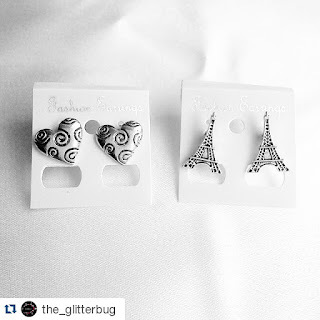 Image credits - The Glitterbug Instagram account.